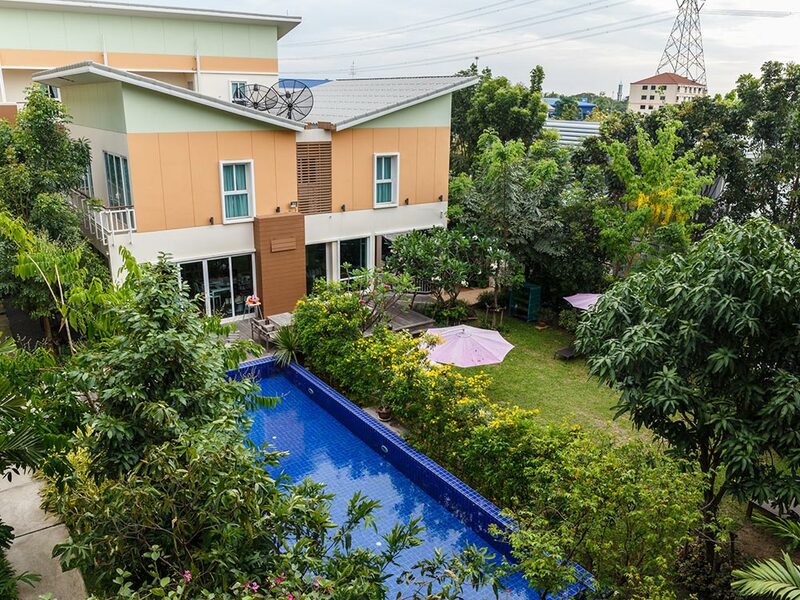 U-Tiny Boutique Home is a charming 4-star hotel in near to Bangkok International airport (Suvarnabhumi BKK) You will be seduced from your first step in the hotel, with all modern comforts. 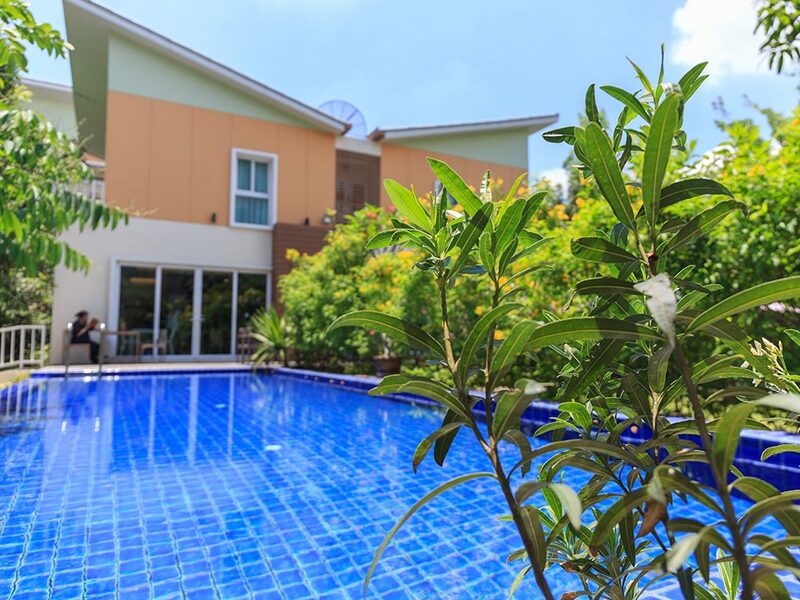 Our hotel offers guests a tranquil country retreat on the outskirts of Bangkok, only 7 kms(4.4 miles) away from Bangkok Suvarnabhumi Airport. 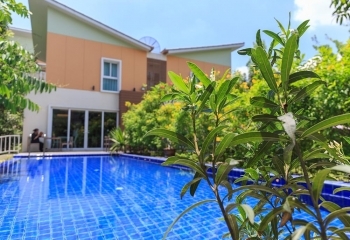 The U-Tiny Boutique Home is ideally placed, providing the ultimate relaxing setting away from the hustle bustle of traffic yet close to the famous Safari Word & Marine Park and is convenience to go to major touristic sites such as Ayutthaya UNESCO World Heritage Site, the Ancient Siam Park (Muang Boran), The Floating Market (Damnoen Saduak) and an important economical port such as Pattaya City Beach. 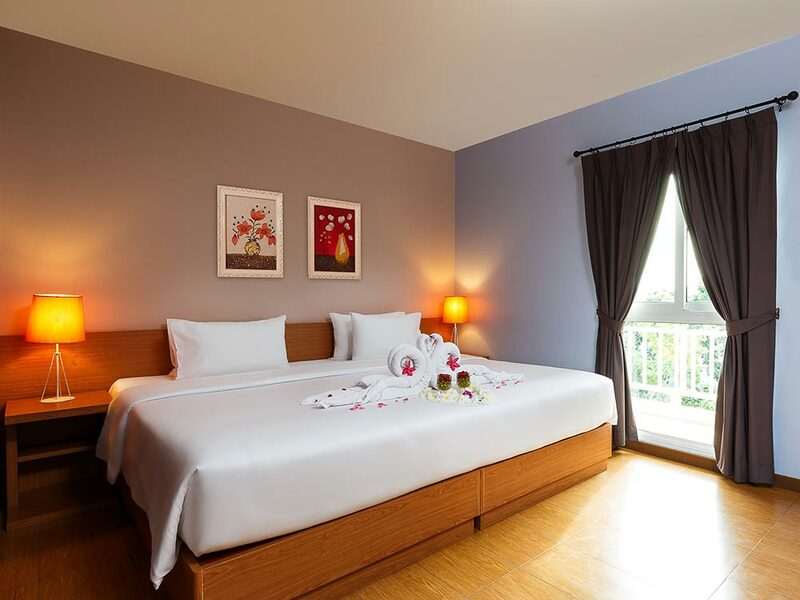 It is an ideal hotel destination as we also provide the tour services to the most famous Grand Palace Temple City Tour for guests who have short time stay but want to see more of the city, Why stay in an ordinary hotel when you can have a feel at home stay? Perfect for families or individuals, traveling for business or pleasure, U-Tiny Boutique Hotel offers great style, value with comfortable, spacious bedrooms marrying a warm atmosphere and high-quality service. Rest & Relax & Recharge stay, Our boutique hotel has 40 modern and stylish rooms in a modest 3-story buildings as we don’t emphasize on the architectural exterior but more on the layout of the buildings and surrounding of hotel to be an airy, light filled hotel that has an appreciation for our roots along with a modernist design-conscious aesthetic. 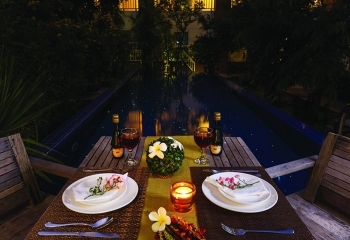 The swimming pool has sparkling stars in the night and the charismatic tropical garden design is peaceful, relaxed and comfortable schemes, the schemes present a cool environment for the interior as well as the exterior. Everything to make the you rest, relax and recharge for your next travelling. U-Tiny Boutique Hotel offers a unique experience high tech with the high speed FREE Wifi throughout the hotel which makes you get in touch with any part of the world and intimate settings that allows you to define your stay on your terms. 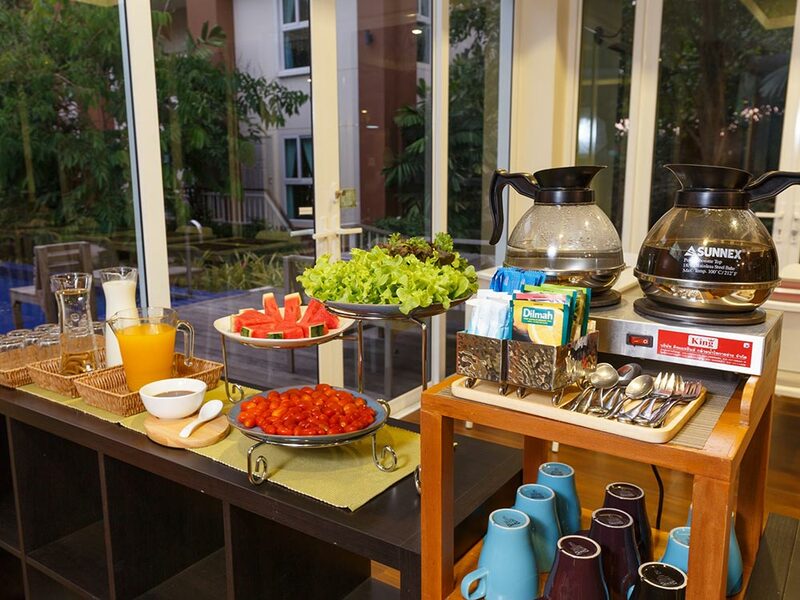 While we’ve thoughtfully considered your every need, we leave it to you to fulfill those needs with amenities and necessities conveniently found throughout the hotel. Enjoy our unparalleled hospitality and feel like home. Great Place for Bird Watching Lovers! 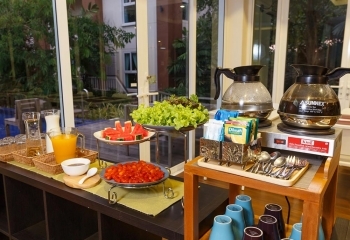 U-Tiny Boutique Hotel, setting in the green, serene and quiet environment. There is no shop or restaurant in the walking distance, this is the perfect place for the birds watching which you can walk around , wait to see amazing birds around the hotel. 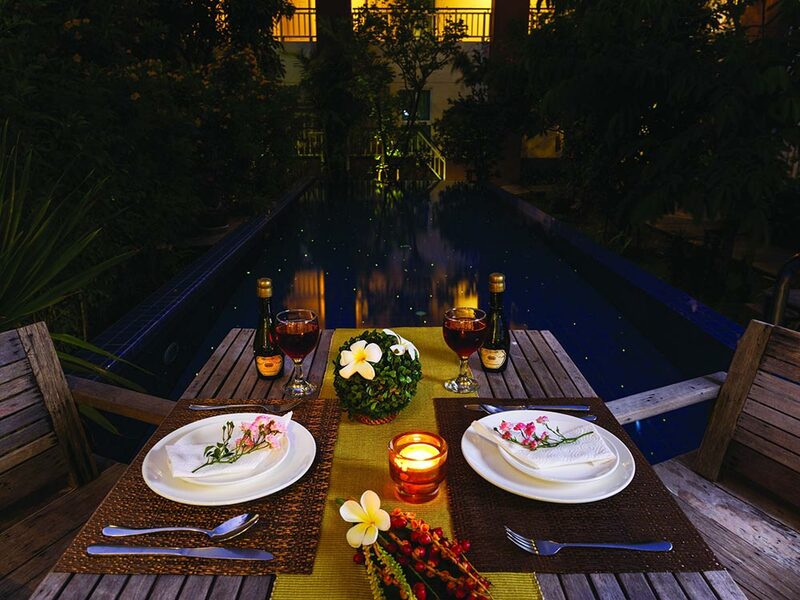 There is nowhere in Bangkok that you can be this peaceful and enjoy your time. Best Services for all you needs, U-Tiny is proudly part of Ultimate Success Co., Ltd by U-Best Group , the experienced hospitality Development group of companies with quality of hotel management for over 30 years. with an exceptional quality of hotel management for over 30 years. 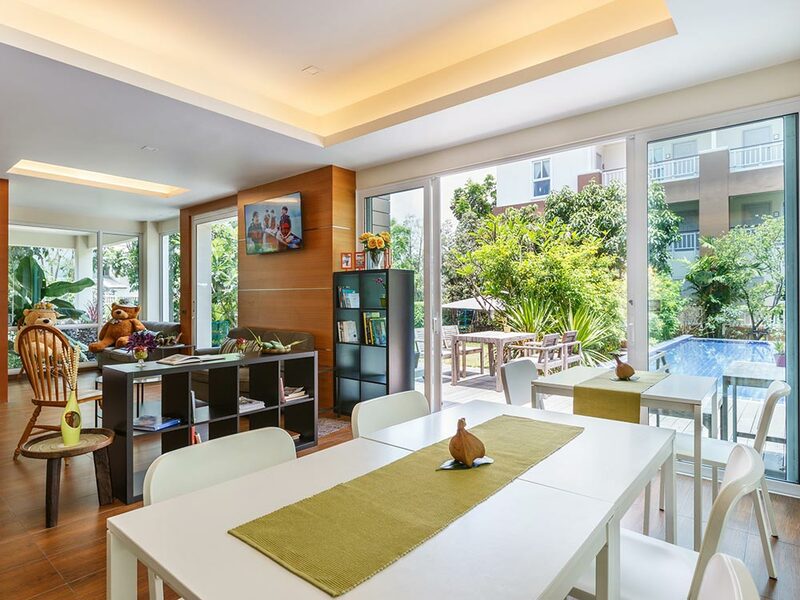 We believe to stay in the best accommodation is a vital part of the utmost happiness in travelling We take time to design and initiate variety of services at U-Tiny Bangkok Boutique Home in order to ensure that your holidays truly yours. Last but not least for the last minutes shopper, even though our location is not in walking distance to convenience stores but there are shopping malls within15-30 minutes drive from the hotel. The lady boy Cabaret show is just about 5-10 minutes drive from the hotel. 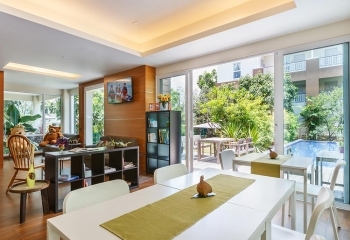 Hotel U-tiny Boutique Home was voted as #1 of 689 hotels by travelers on TripAdvisor. Great airport hotel Excellently placed if you want to be very close to the airport, including a great free breakfast and free transfer to the airport on the hour every hour. Staff are very friendly and rooms are great with a huge bed and great bathroom. Taxi driver did get lost as it is off the main expressway and he didn't know where he was going...so use their pick up services if you can! Always perfect I've stayed here 3 times in a year, they are very close to the airport and have always helped me with whatever I need. Rooms are always spotless. Each room has all your bathroom needs like soap, shampoo and even ear cleaners. I have miss booked my room a few times as far as mixing up dates and times coming from USA with the date and time change and they have fixed it for no charge. Great Customer Service! We stayed here one night before our flight back home from Thailand, wrapping up our month long stay. The friendly customer service was the best we had in all of Thailand. Everyone we came into contact with was so friendly and courteous with genuine smiles on their faces. Our room was super clean and huge compared to all the others we stayed in on our trip. The free shuttle to and from the airport was great! . Came here after cancelling elsewhere - good choice! Airport shuttle, lovely room, very friendly and helpful staff, dinner at their restaurant when we arrived, and a good pool. After our previous experience in Bangkok, this was outstanding. 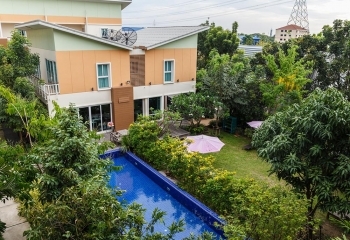 Reasonably close to the airport for Bangkok, so a good choice for short transits. .
Fabulous Airport Hotel just minutes from BKK A quiet oasis, very close to the airport. Pick up was as promised, polite and spot on time. The staff are charming, polite and multi-lingual. A very pleasant stay in a clean and very comfortable hotel. I will be returning in September. 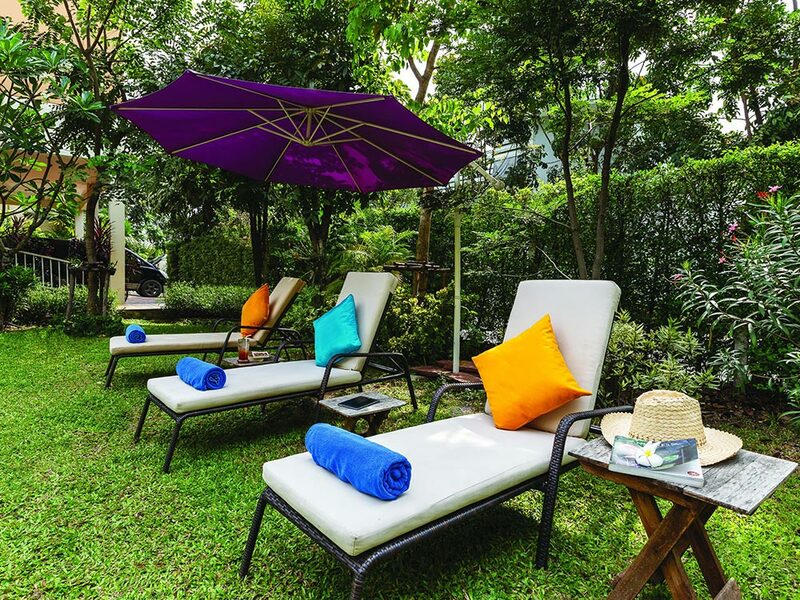 Being situated near the airport, U-Tiny Boutique Home is not only an ideal place for a stopover in Bangkok, it’s also an oasis away from the city.On our last trip to Bangkok, we decided that we wanted a really good break from the city life and so off we went to U-Tiny Boutique Home. 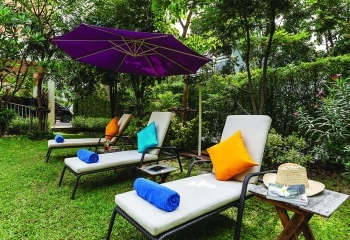 U-Tiny Boutique Home is a lovely homestay kind of boutique hotel with a swimming pool. The hotel has a beautiful courtyard, the rooms were huge and clean, and the home style food, be it from their buffet spread or ala carte menu were simply tasty. 5.0 /5 Perfect 非常乾淨、設施新、環境優美，安靜清新。游泳池每天換水，早餐好吃，品質優，有免費班車機場接送，不用交按金，外國人入住比率高。性價比高，值得推薦。 Very clean, new facilities, beautiful environment, quiet and fresh. Swimming pool changing water every day, breakfast delicious, excellent quality, free shuttle airport shuttle, no deposit, foreigners stay high rate. Cost-effective, worth recommending. 5.0 /5 Perfect 在一個很大的園子裏，有接送機服務，工作人員服務都很熱情，房間乾淨安靜，早上早餐是自助的，走的時候還提醒我們檢查遺漏物品。對早上趕飛機的我們來說還挺方便的。 In a very large garden, there are shuttle service, staff service is very warm, the room clean and quiet, breakfast is self in the morning, when walking also remind us to check the missing items. It was quite easy for us to catch the plane in the morning.